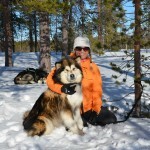 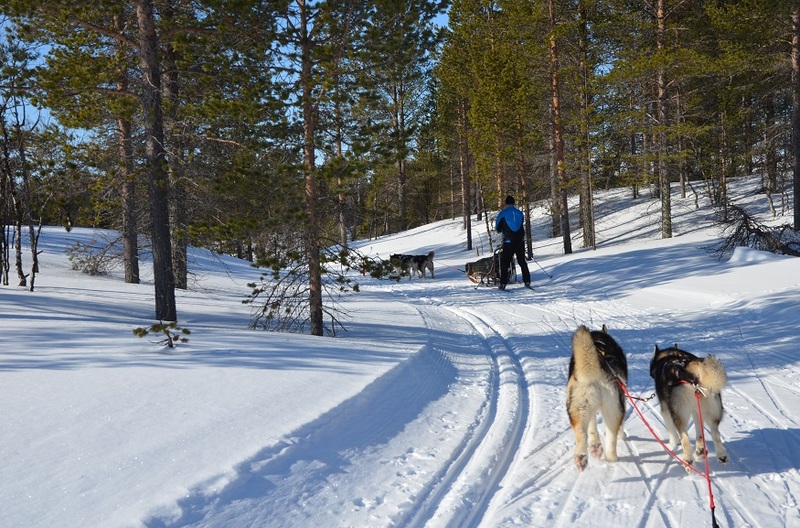 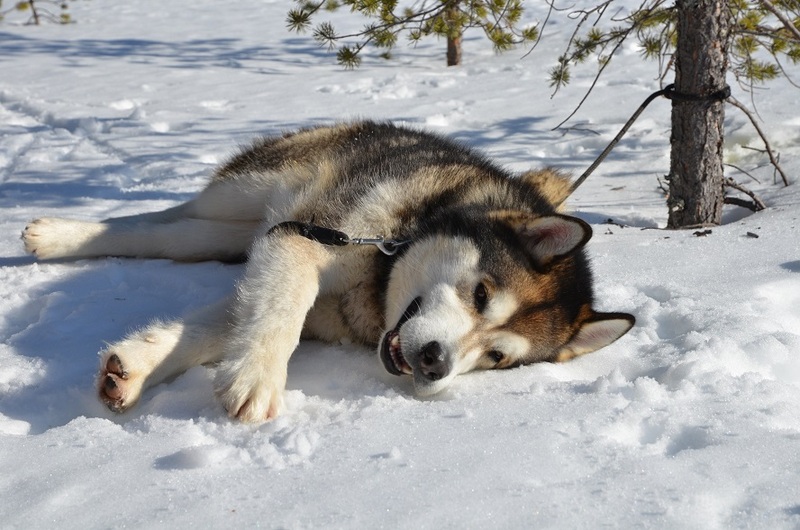 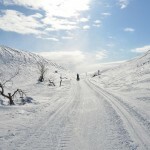 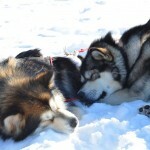 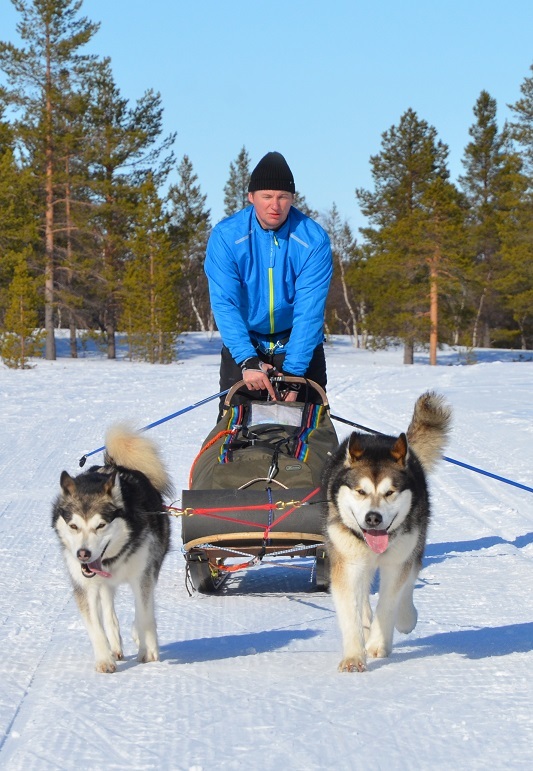 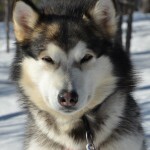 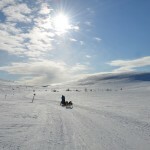 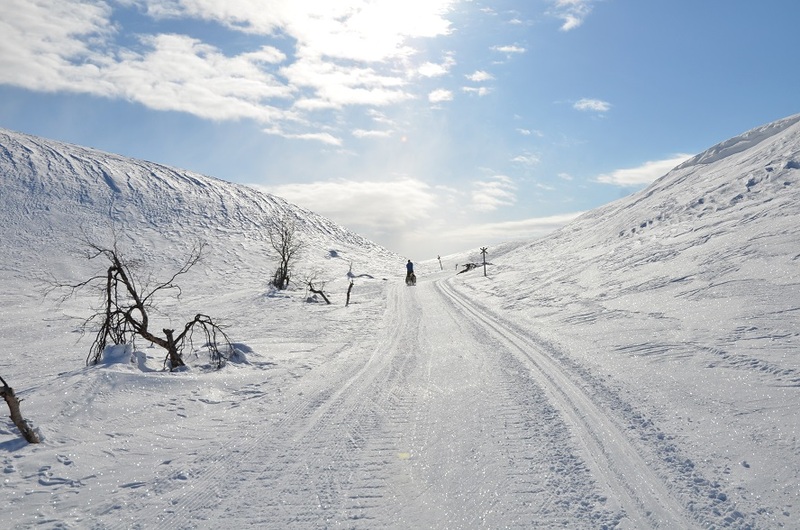 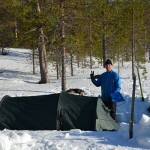 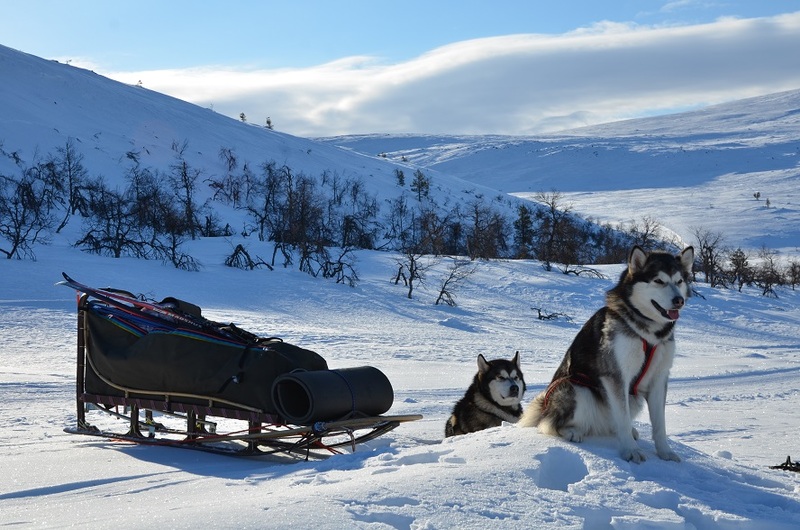 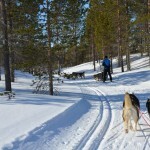 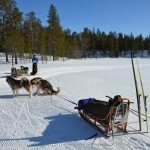 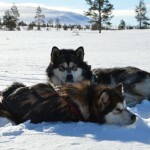 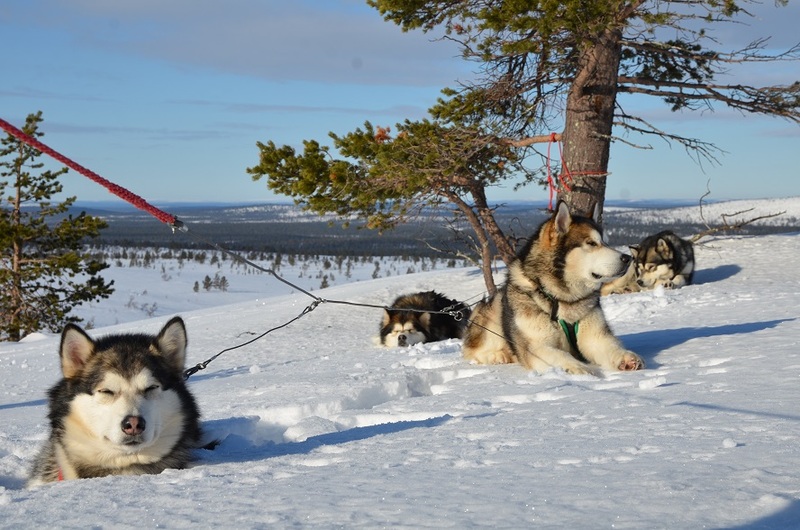 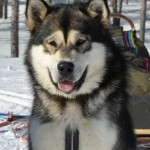 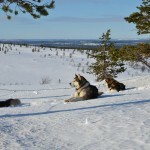 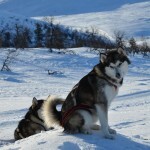 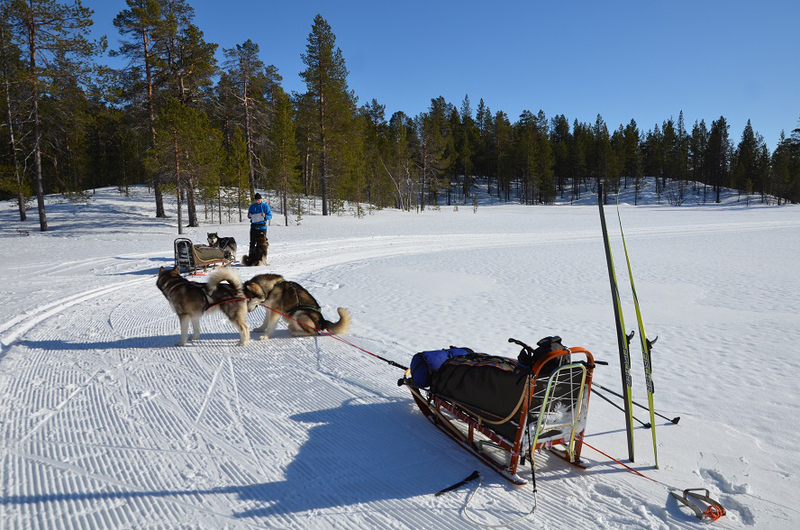 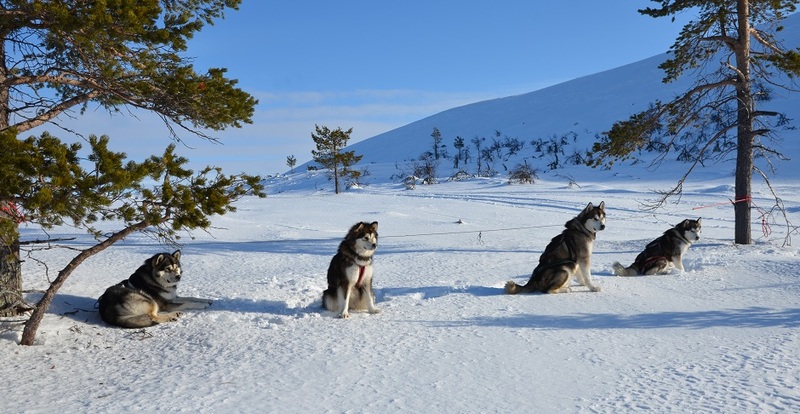 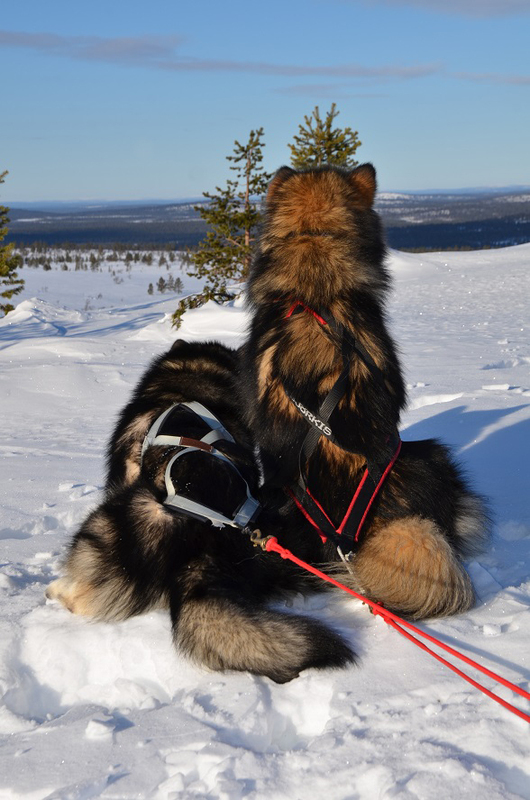 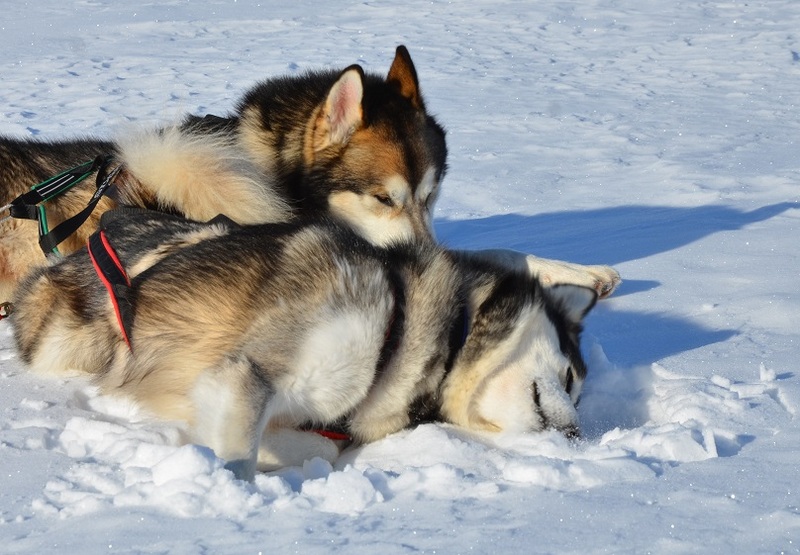 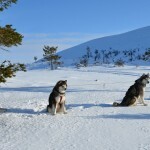 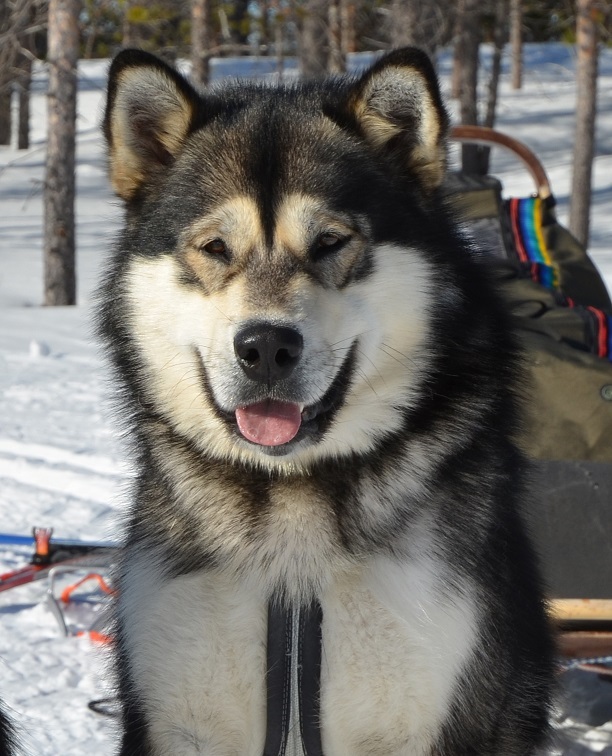 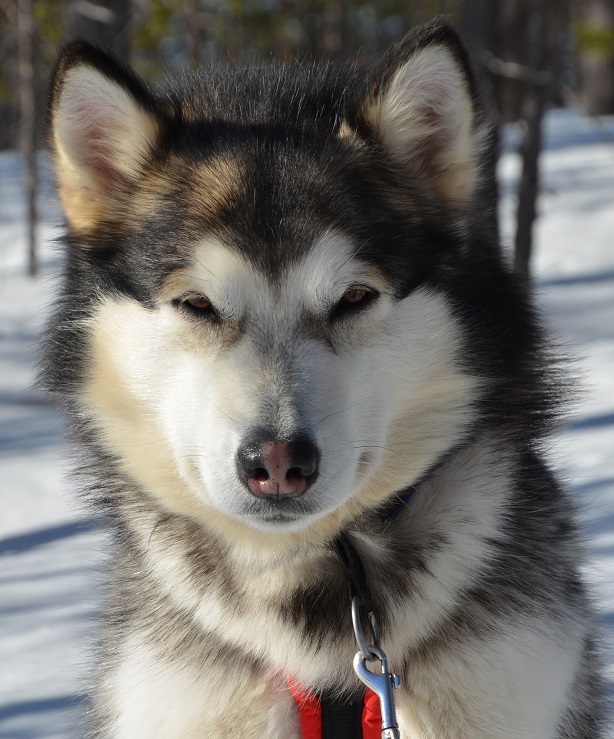 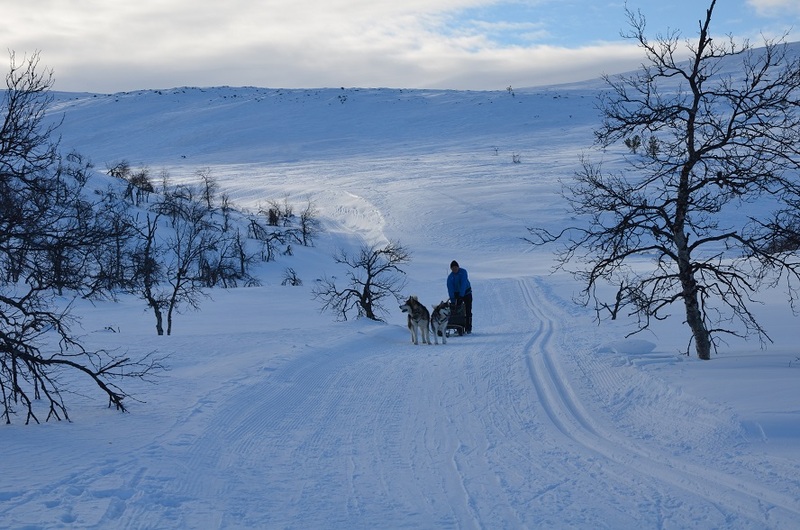 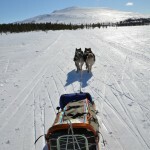 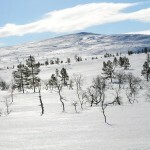 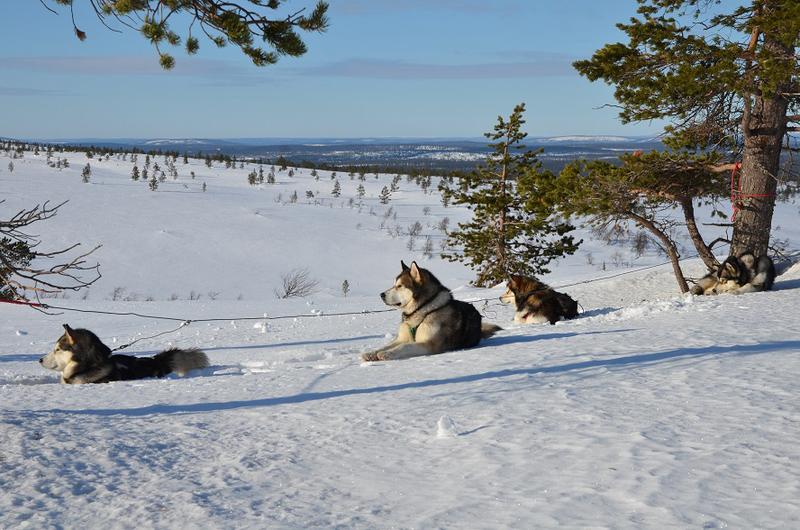 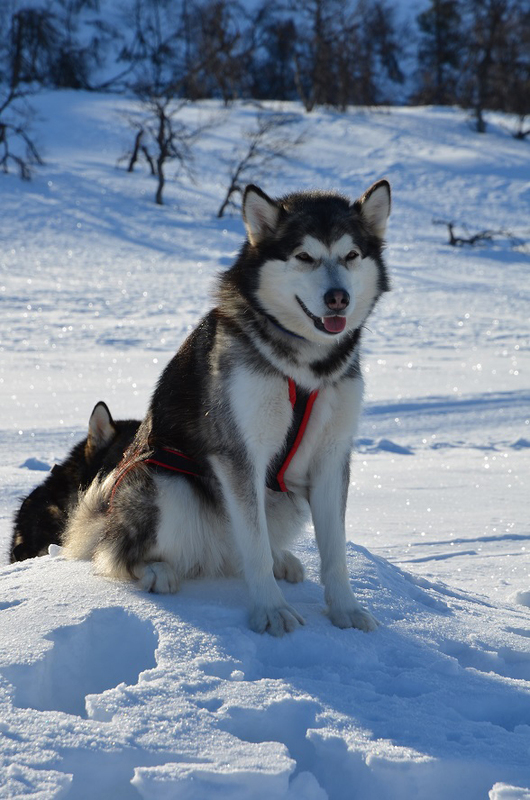 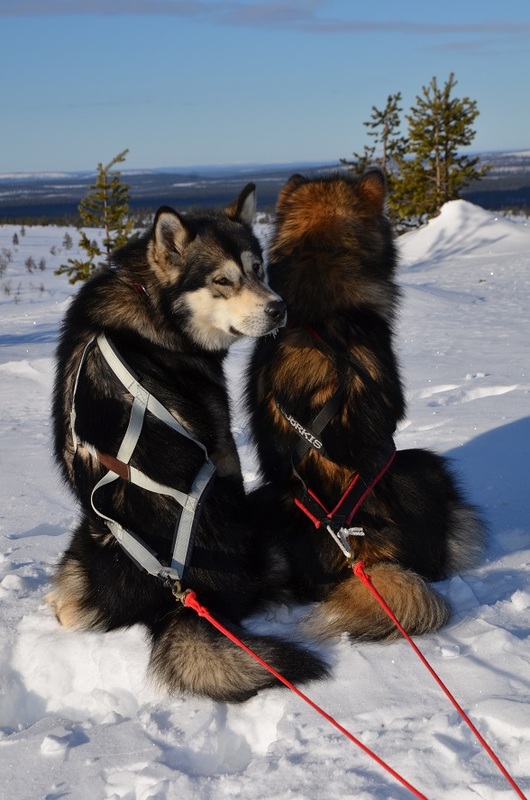 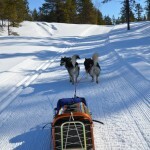 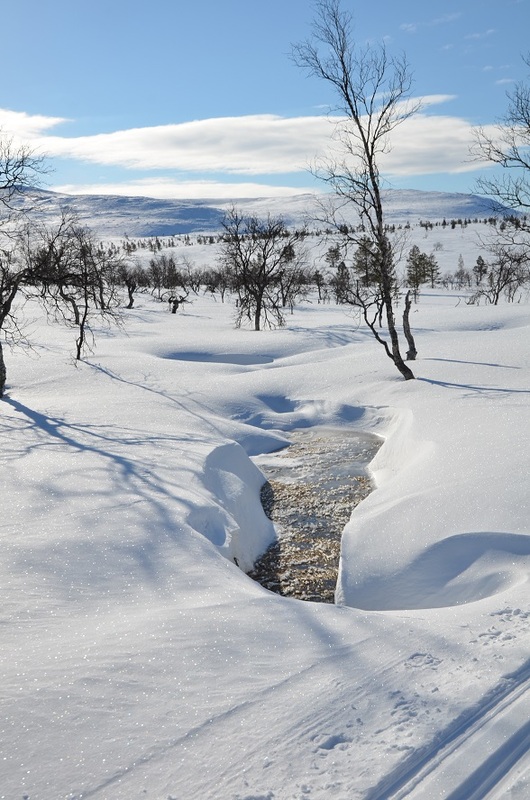 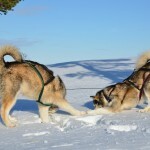 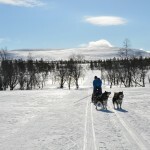 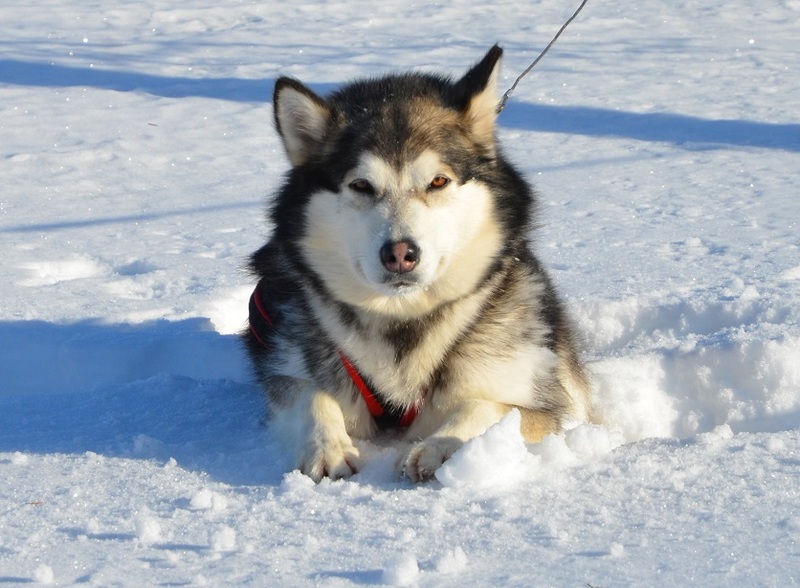 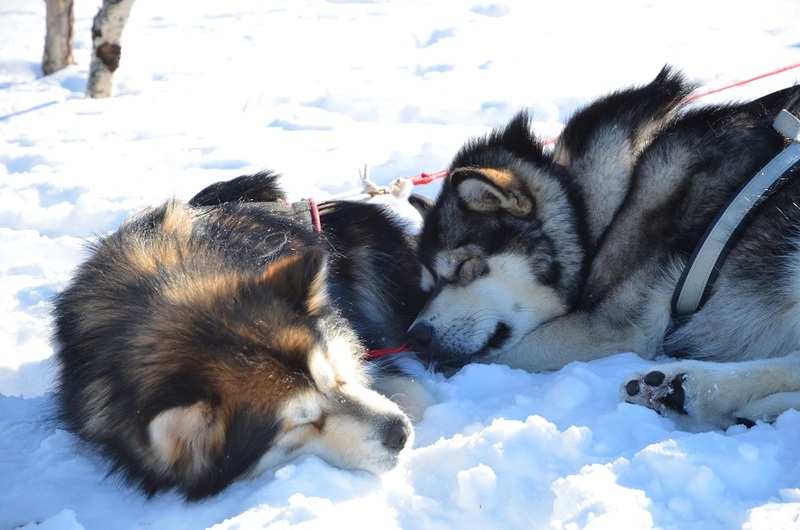 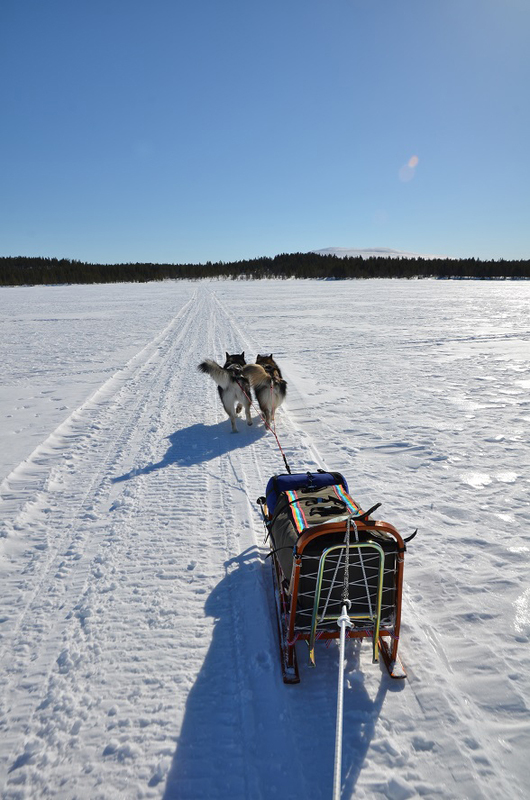 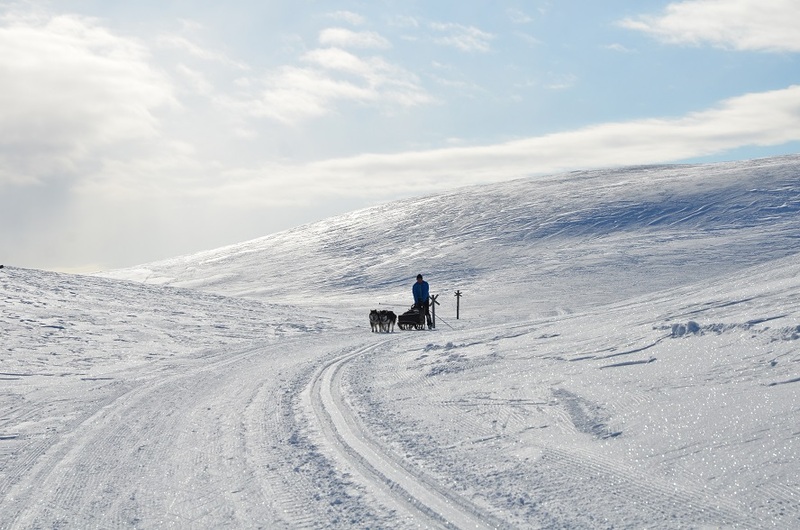 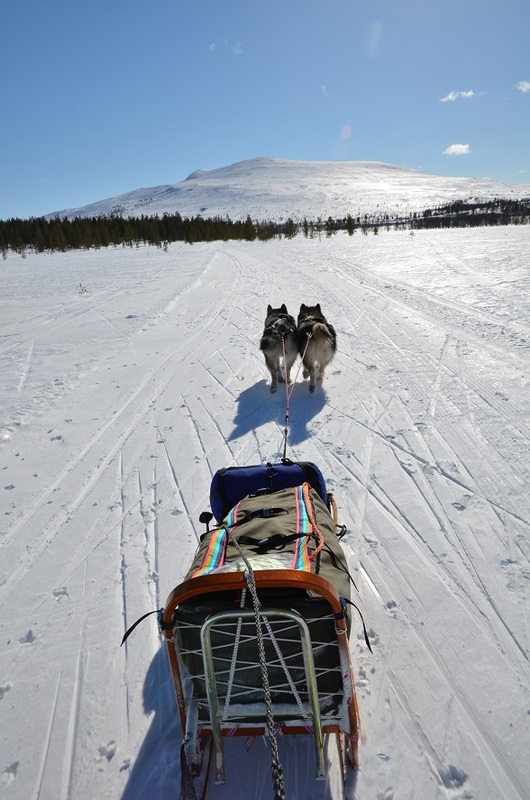 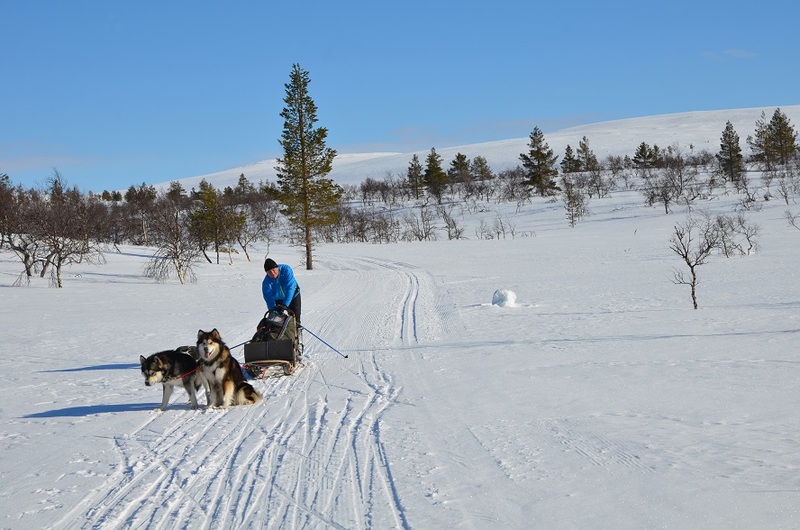 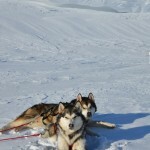 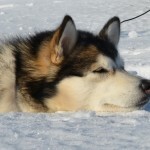 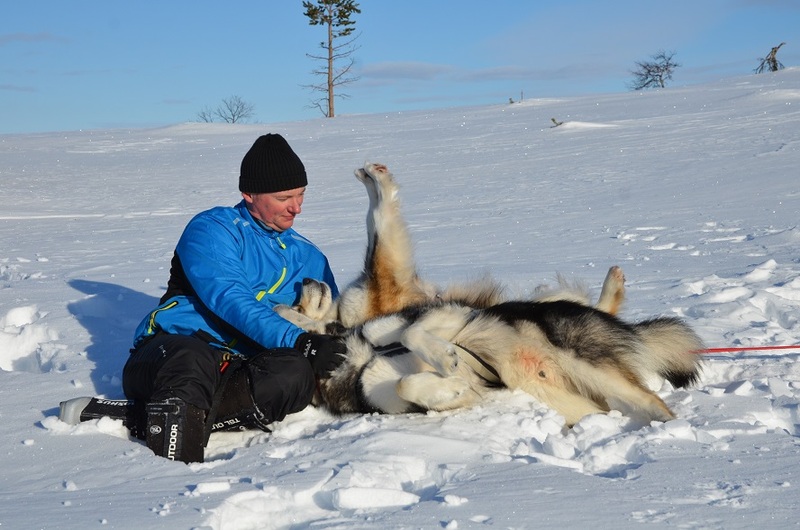 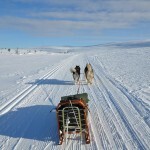 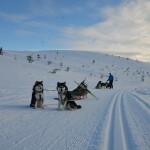 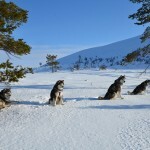 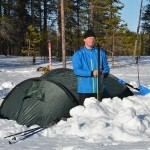 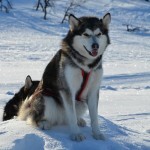 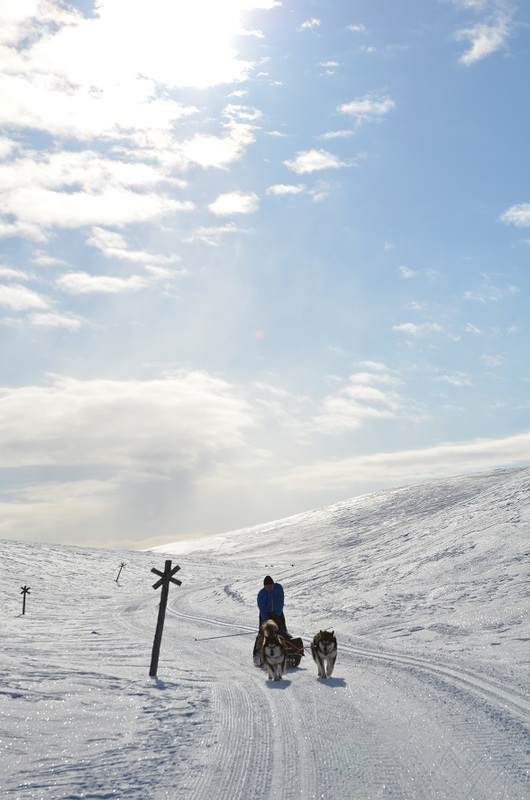 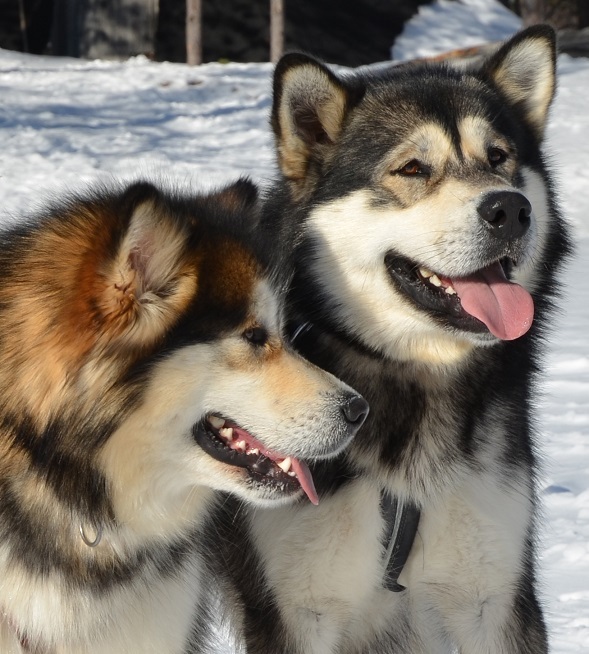 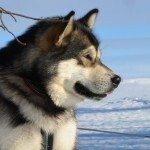 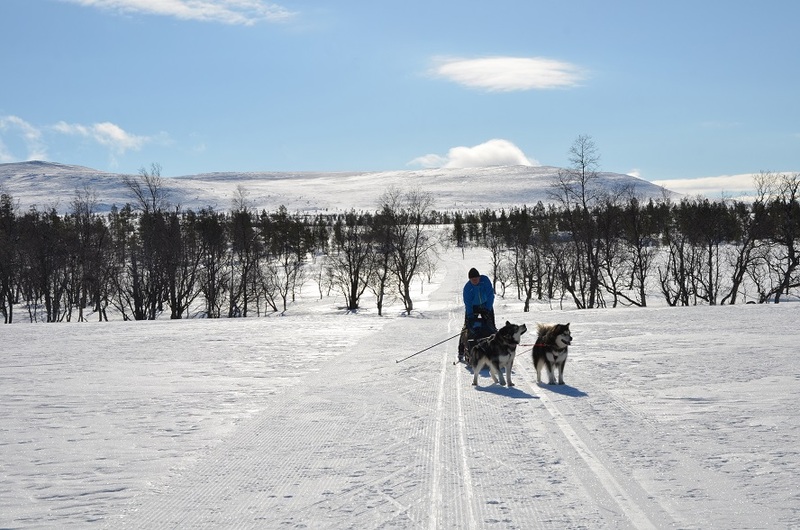 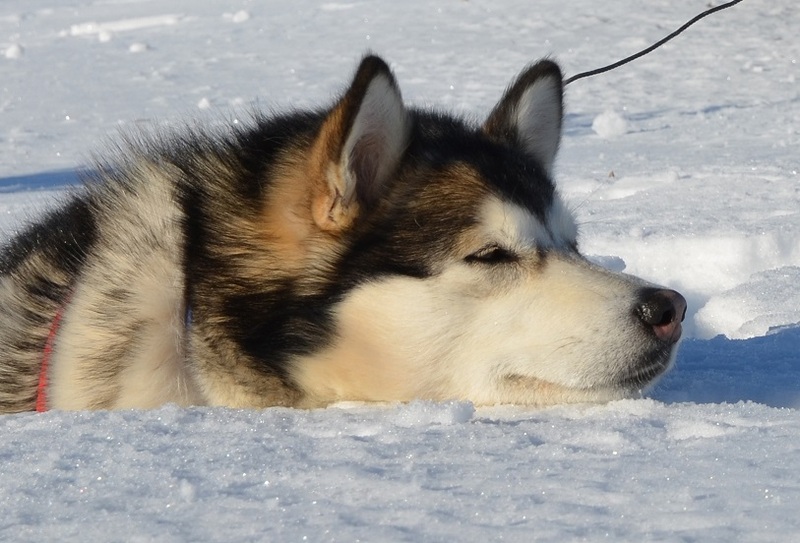 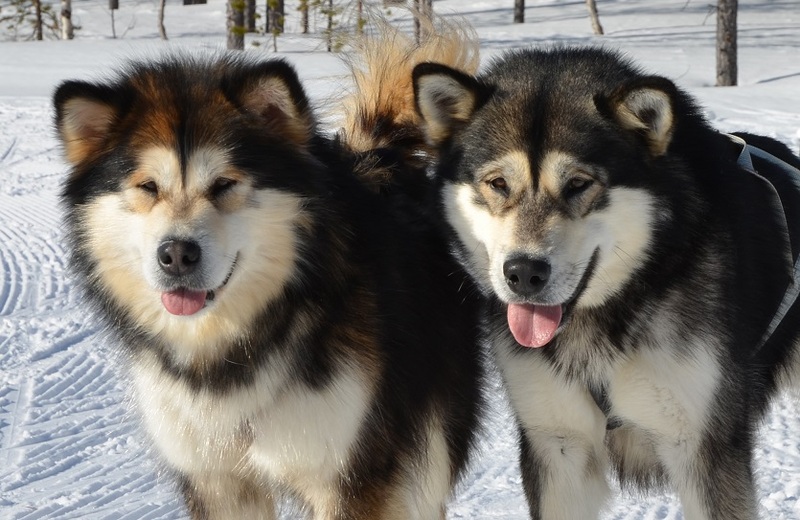 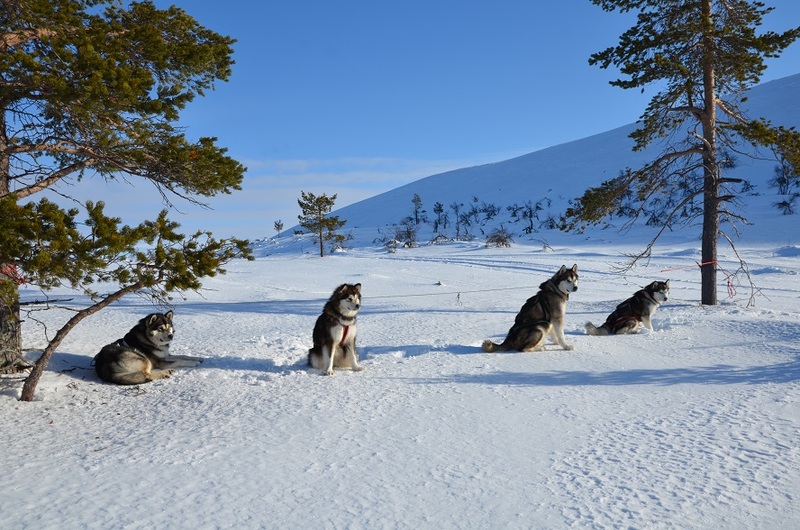 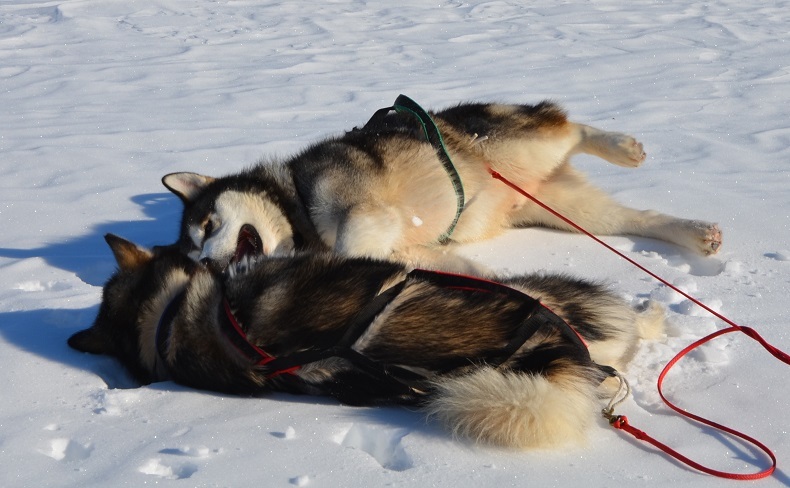 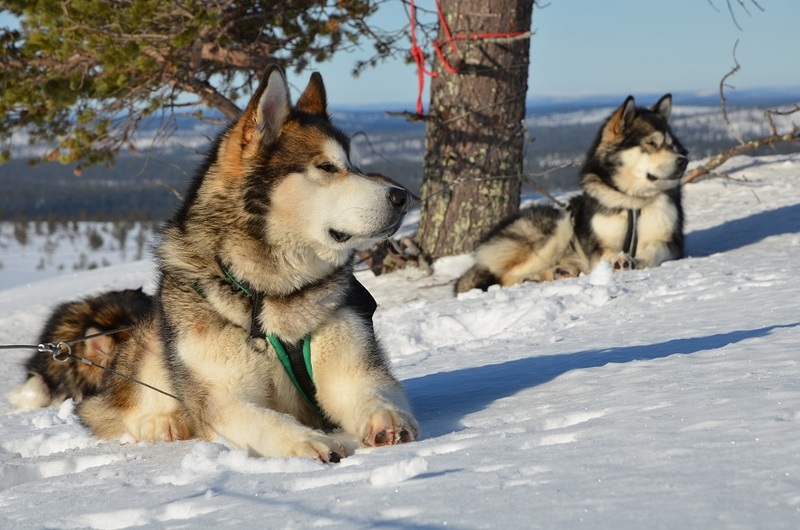 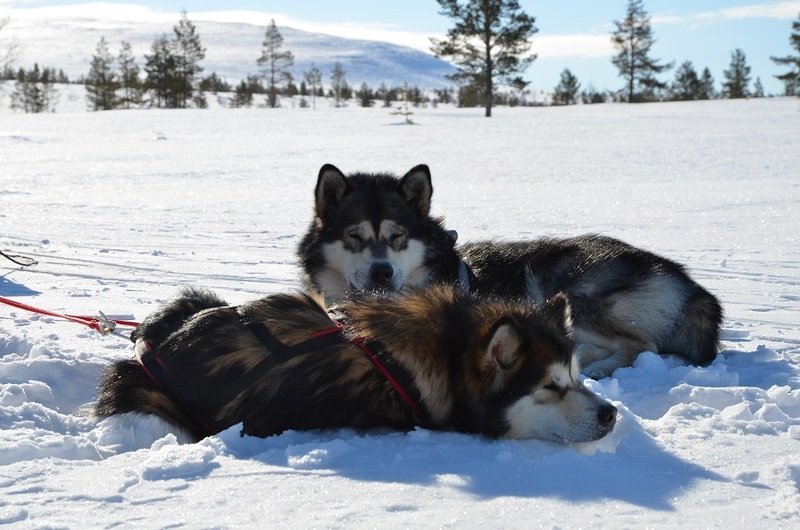 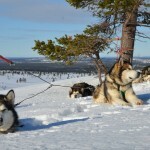 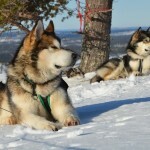 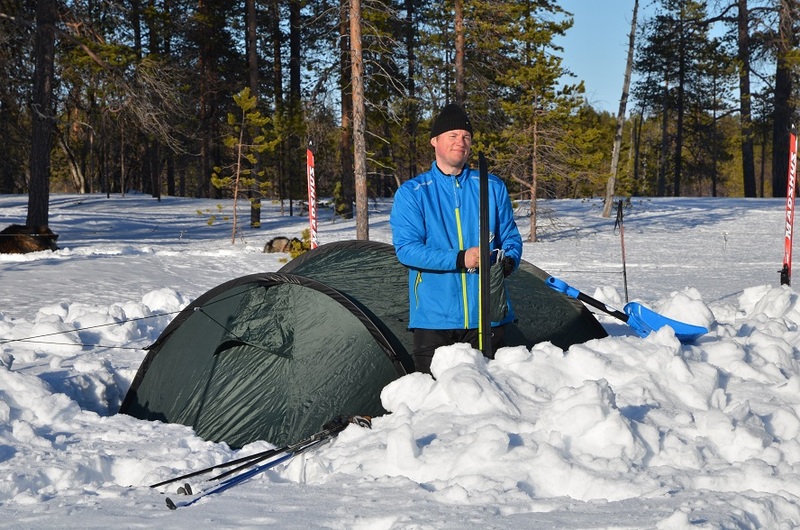 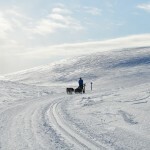 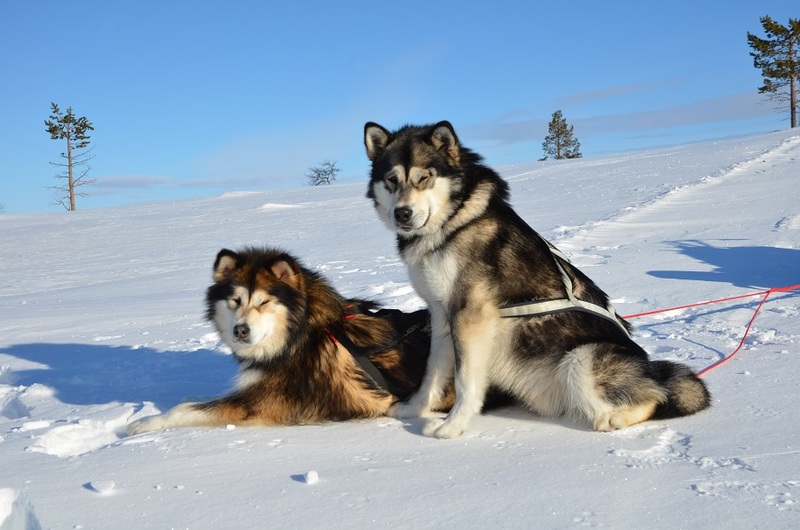 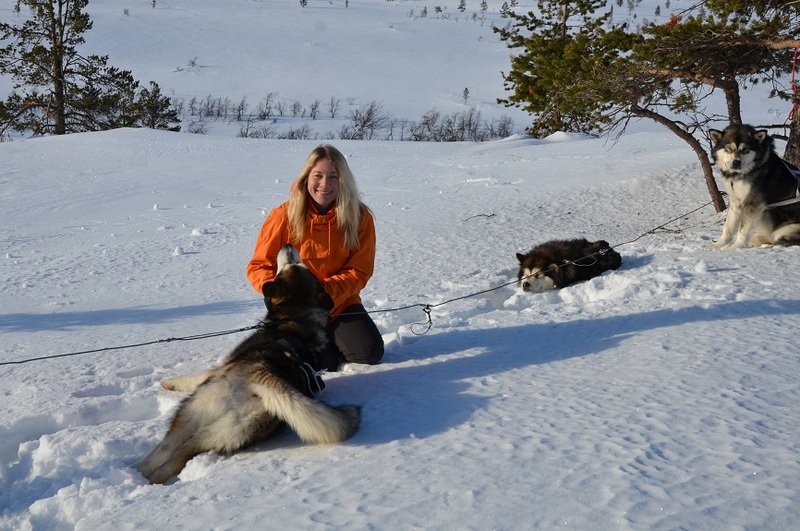 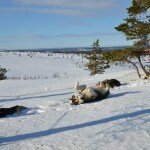 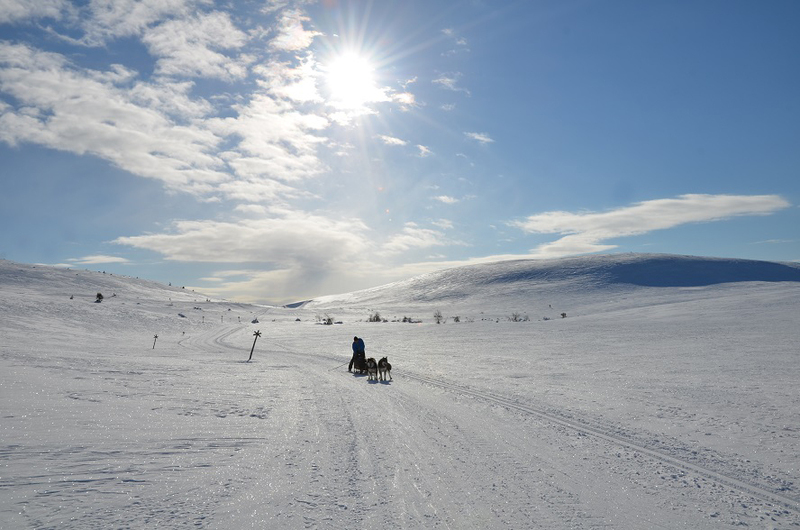 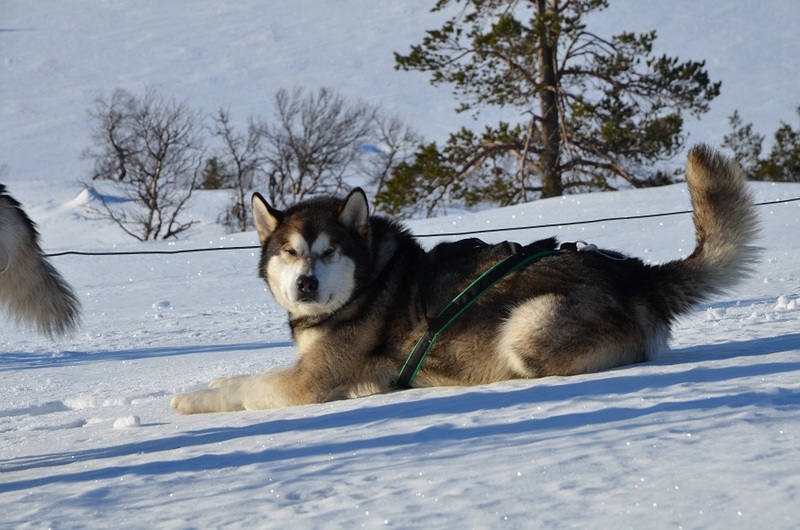 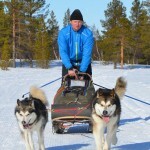 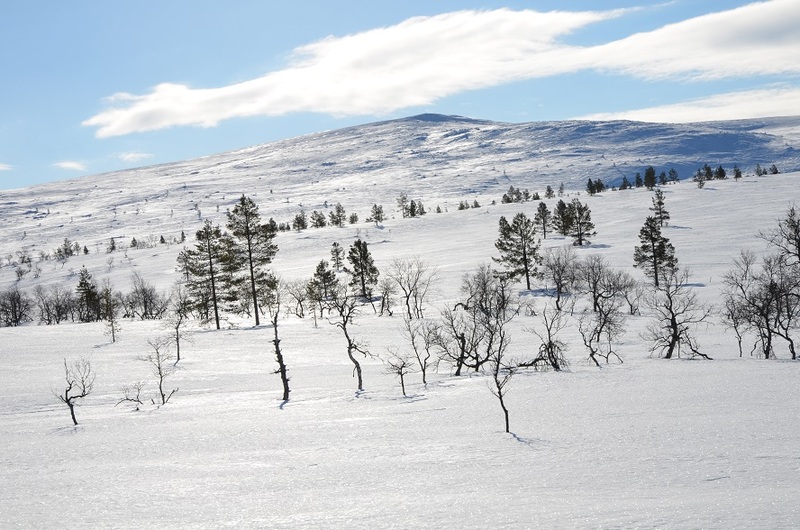 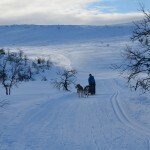 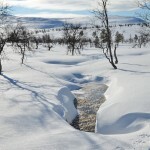 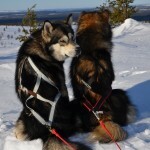 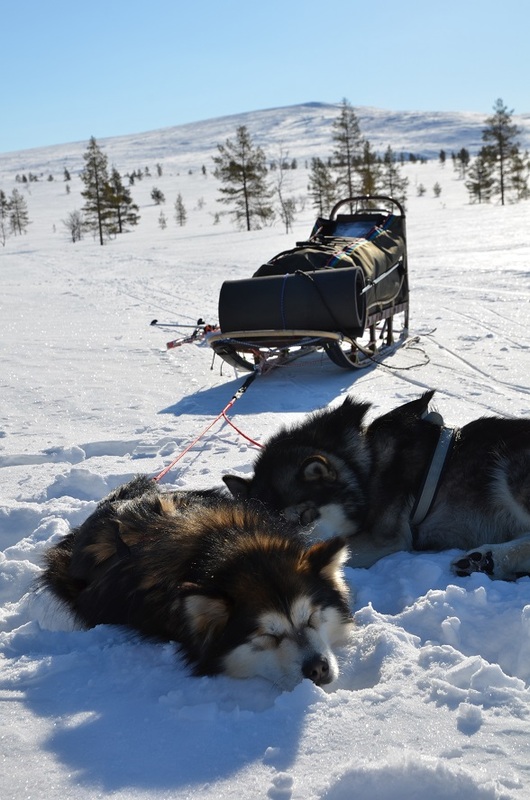 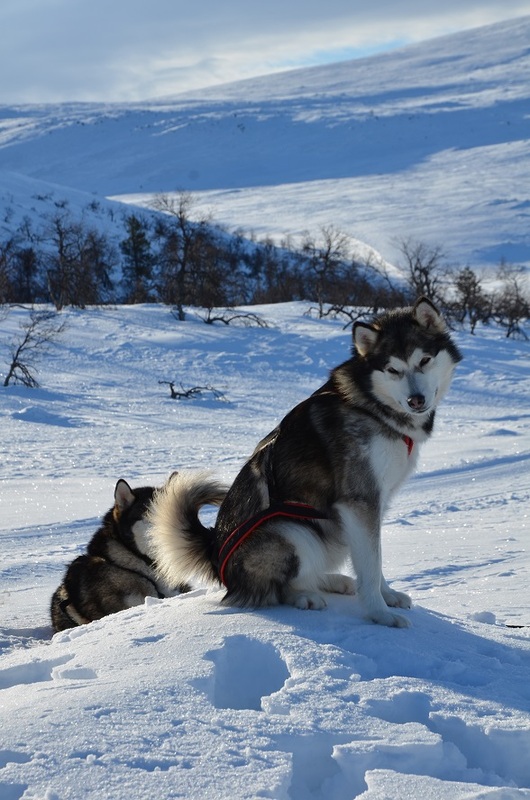 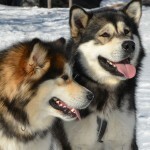 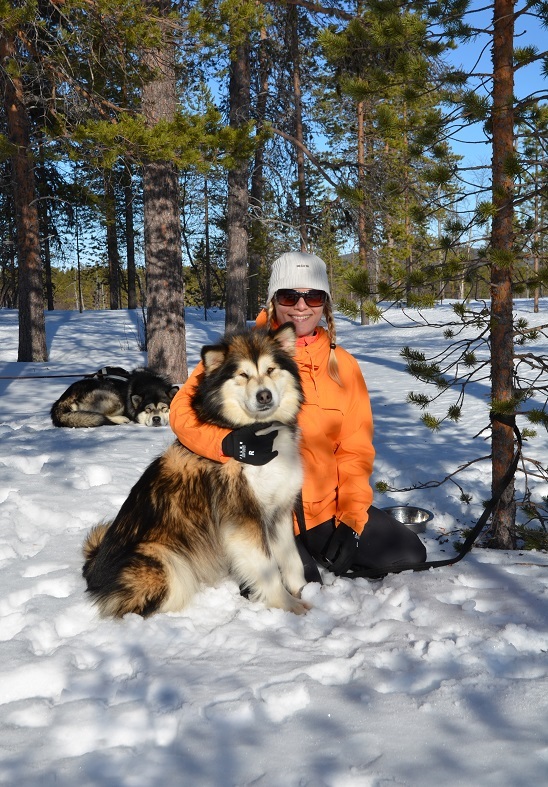 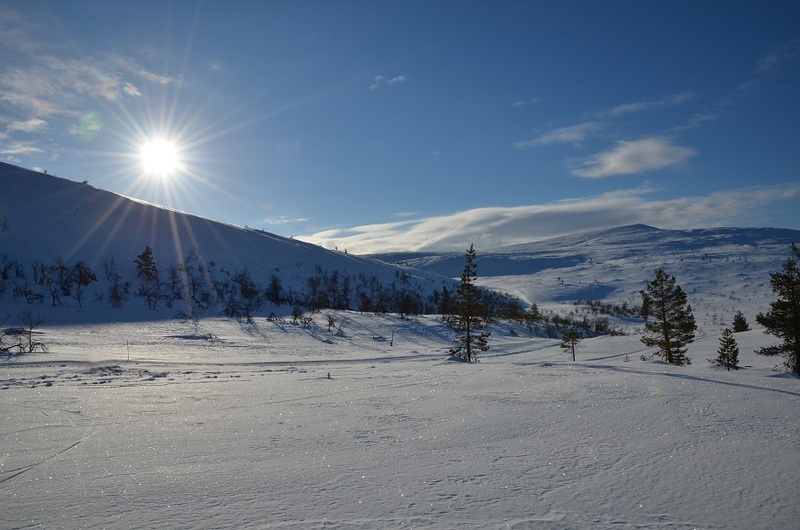 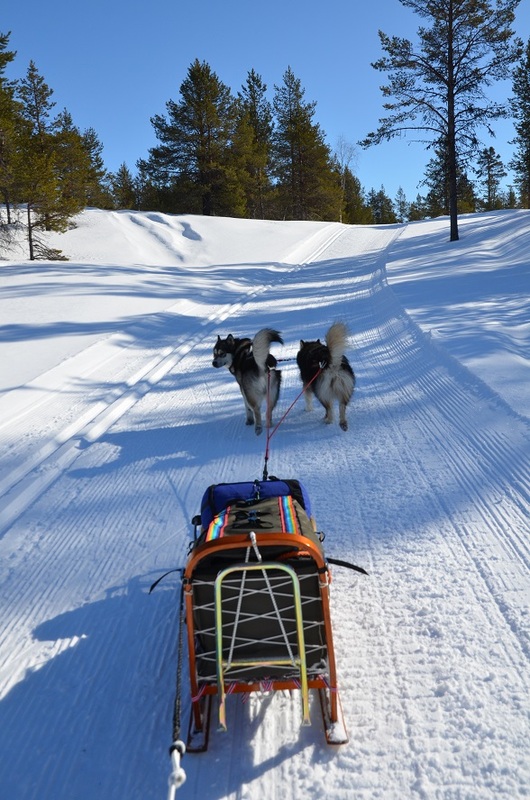 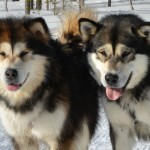 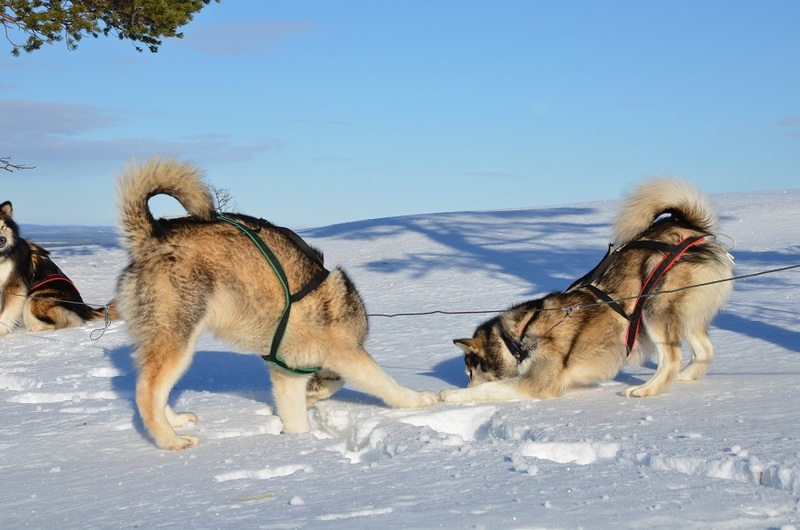 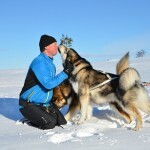 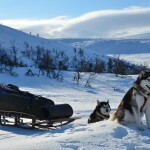 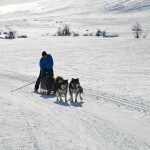 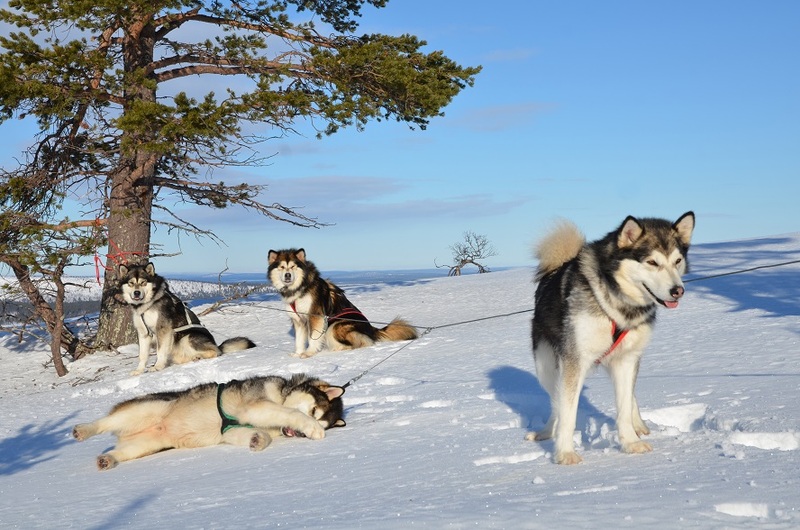 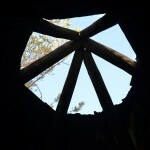 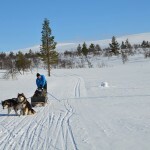 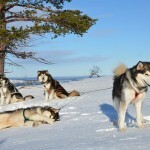 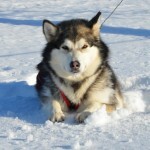 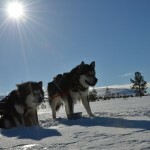 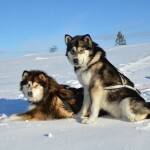 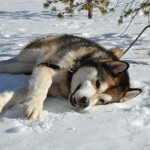 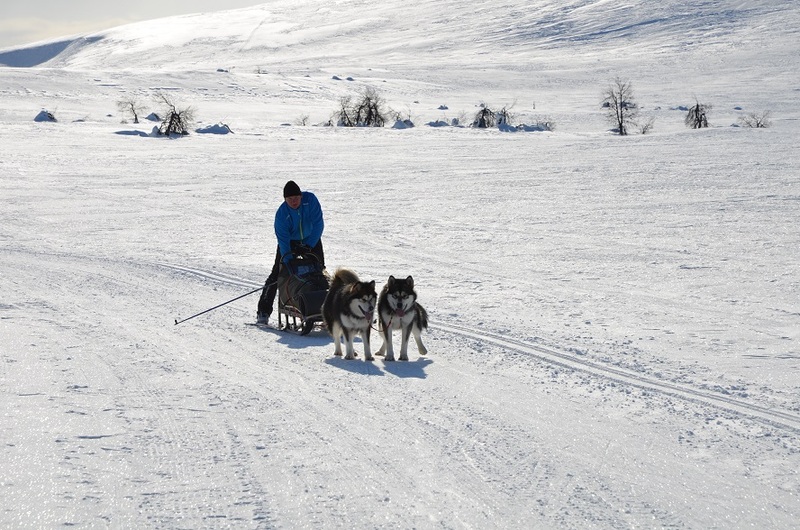 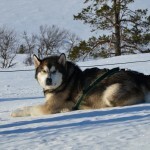 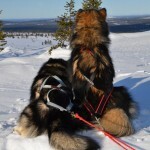 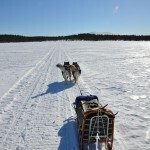 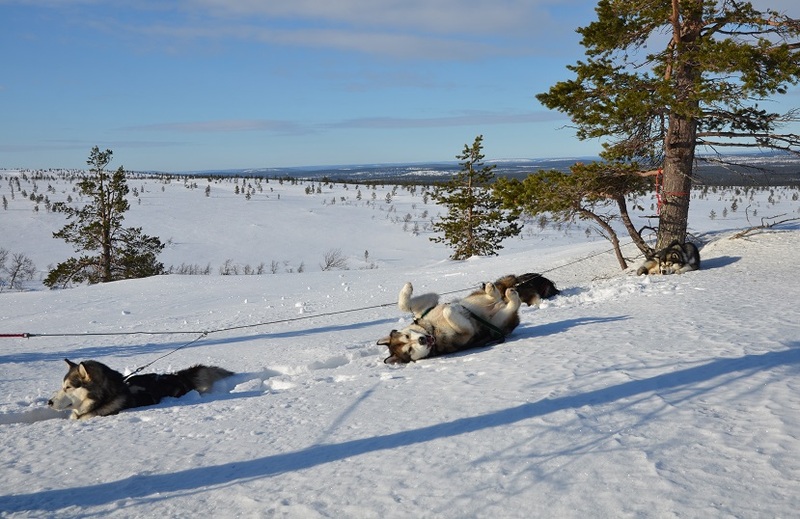 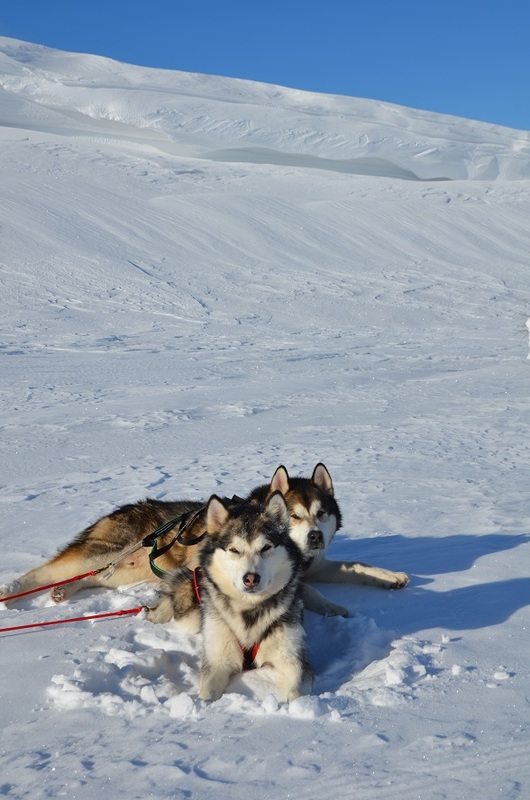 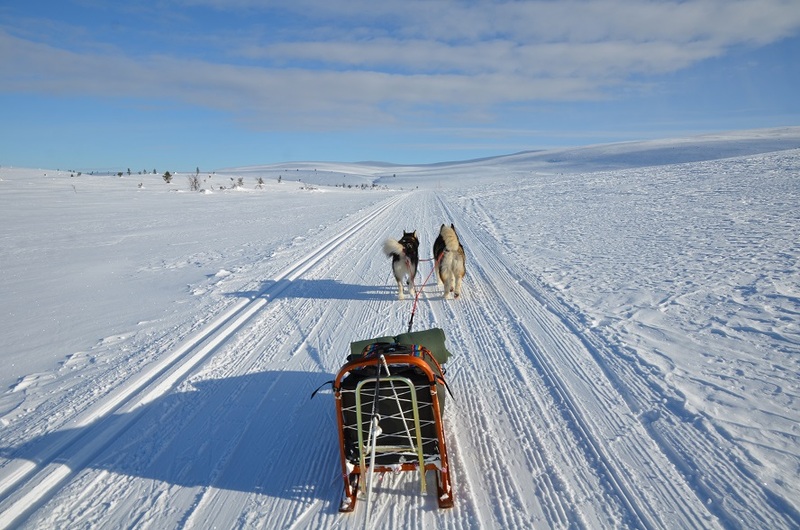 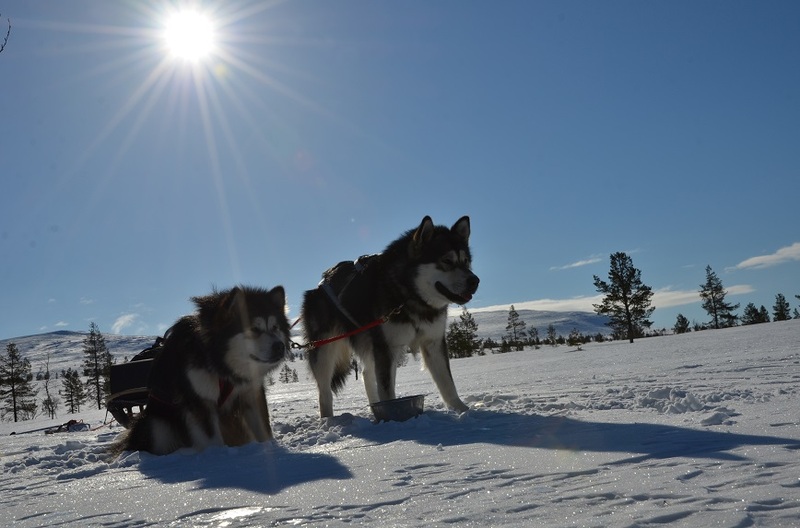 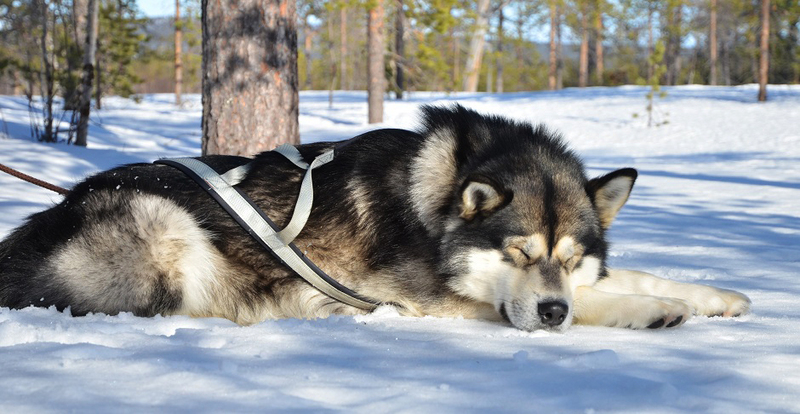 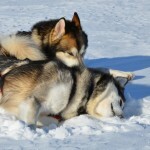 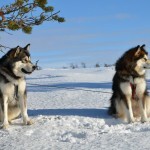 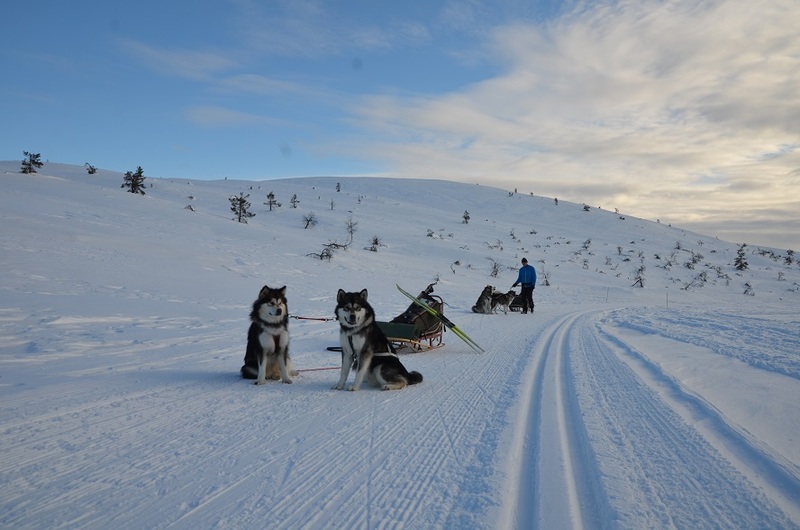 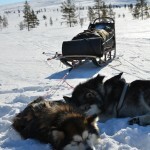 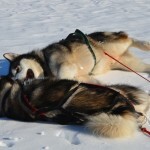 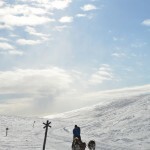 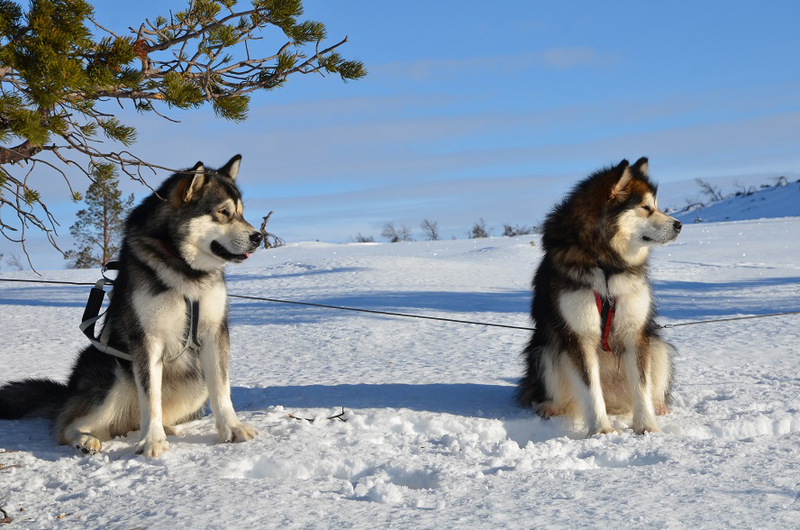 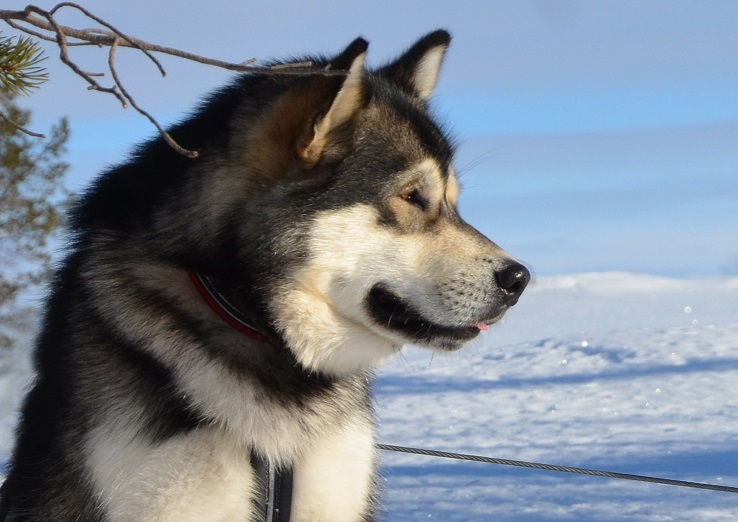 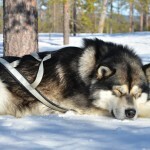 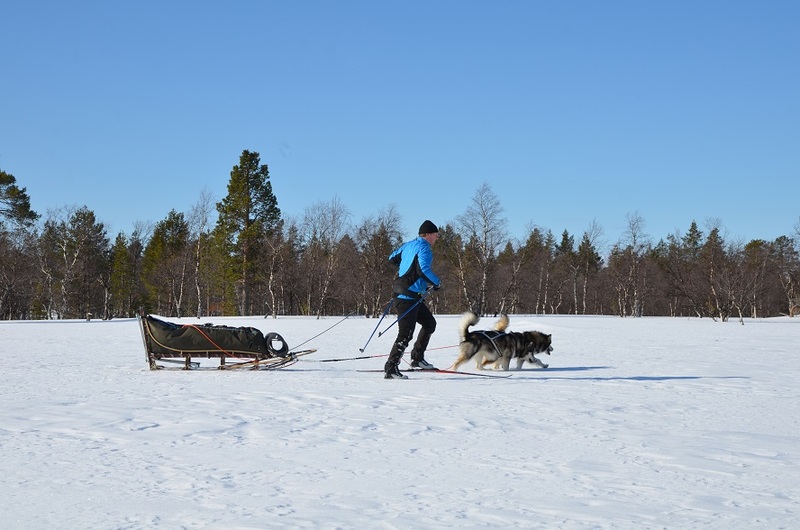 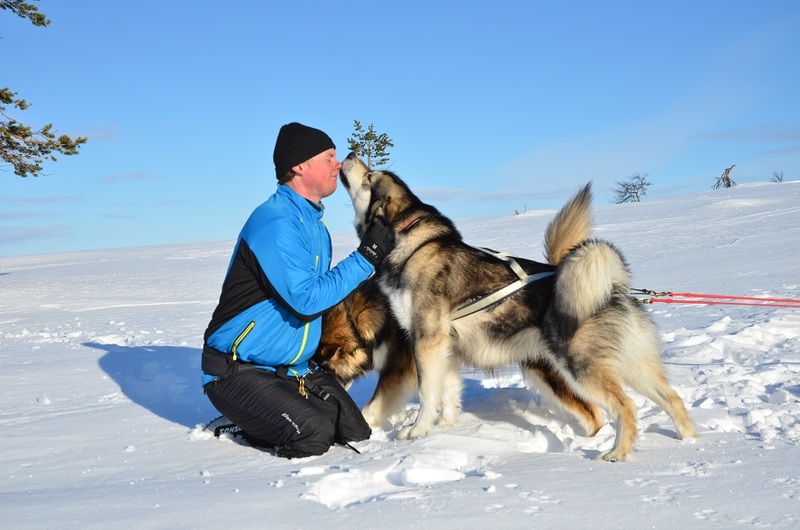 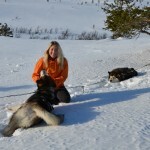 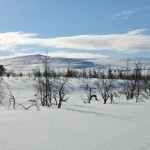 A beautiful winter camping trip in the Ounastunturi fell area together with four dogs. 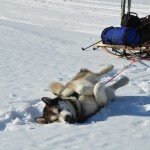 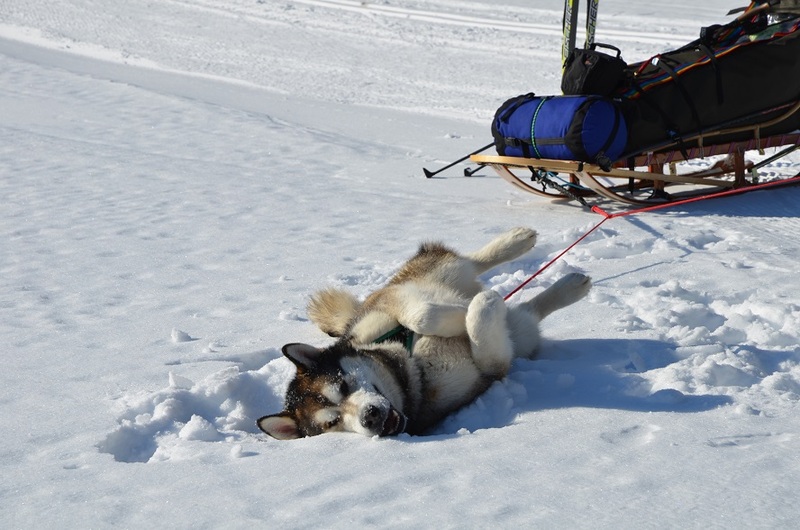 This was Wilder’s first multiday excursion so we made the daily legs as short as possible and gave the dogs plenty of opportunities to rest along the way. 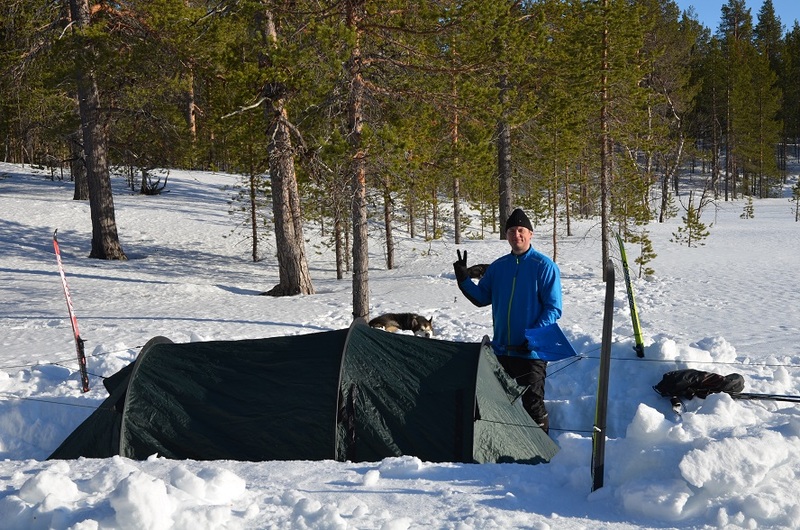 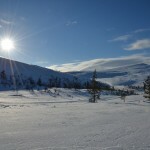 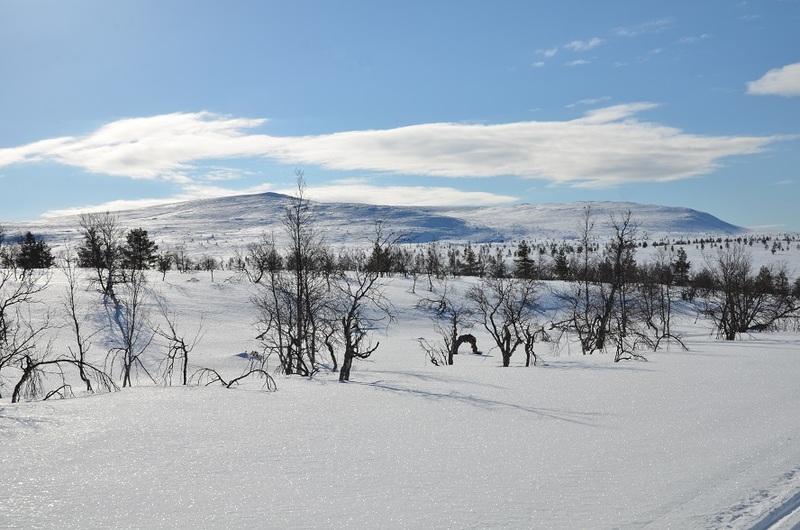 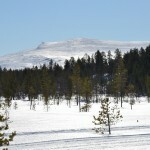 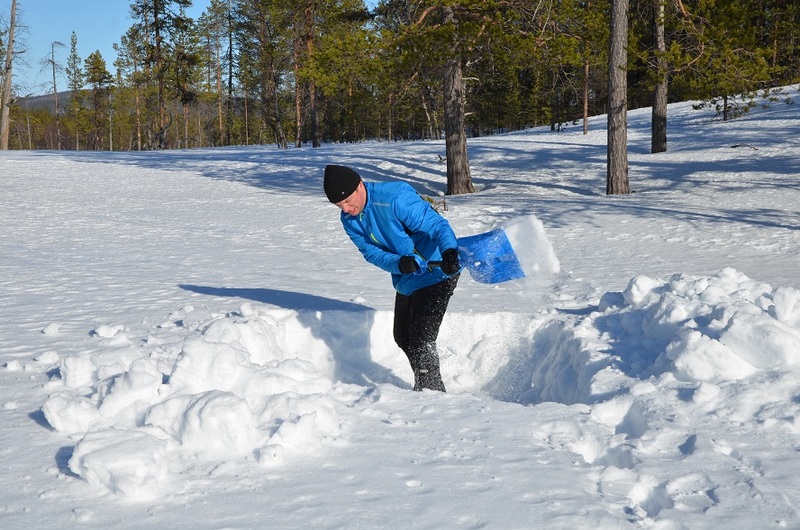 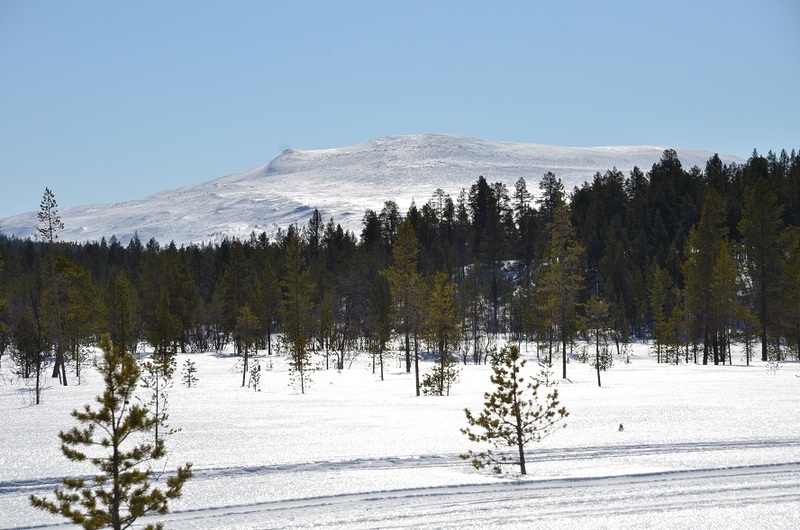 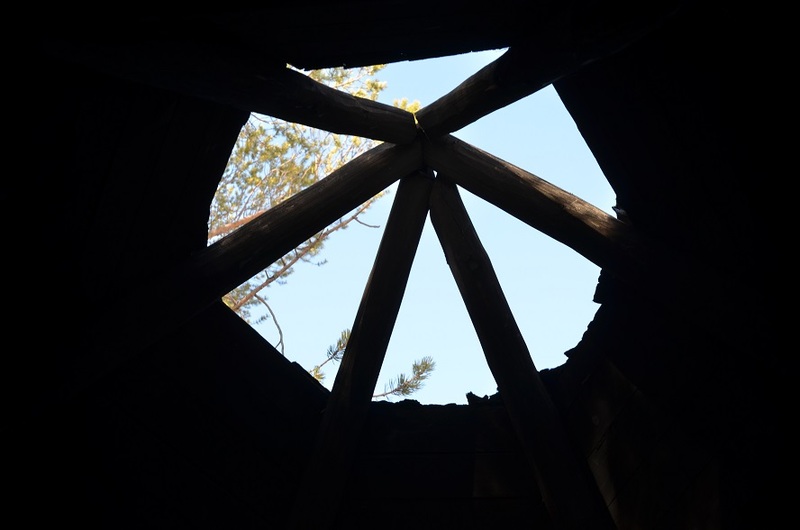 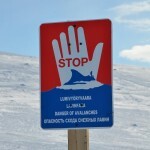 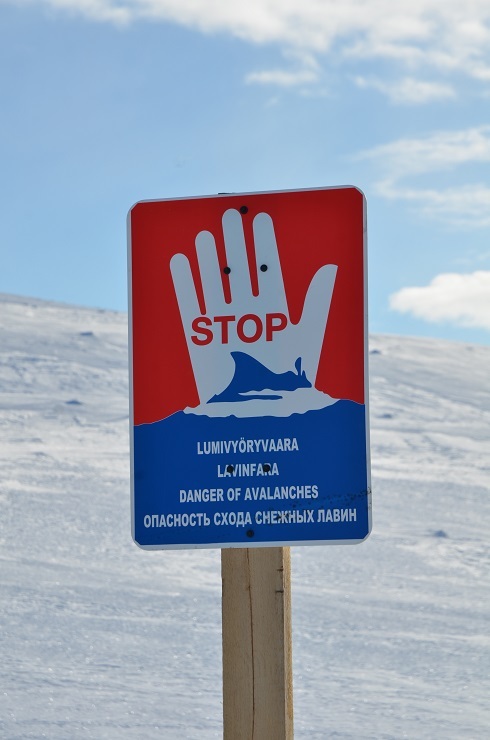 The temperature ranged between -4°C and -15°C at night with hardly no wind at all – perfect April weather!